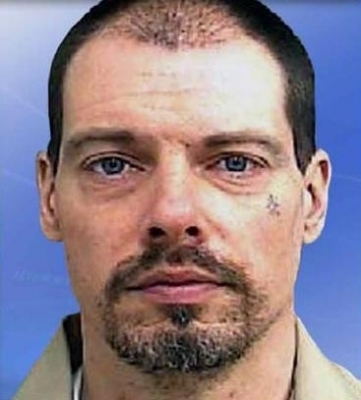 Authorities in New Jersey are searching for an inmate who escaped from a minimum security prison just weeks away from parole. 38-year-old Arthur Buckel was missing from the Ancora unit of Bayside State Prison in Hammonton when guards did a count at 6 a.m. Tuesday. He was serving a sentence for aggravated assault and was scheduled to be paroled on May 21. Buckel worked as a janitor in the prison. He is described as 5' 9”, 180 lbs, with a small tattoo under his left eye. His last known address was in Clifton, NJ. Buckel will face and additional 3 to 5 years in prison for escaping once captured. Philadelphia Police found two cousins suffering from gunshot wounds in front of a North Philadelphia house early Tuesday morning, but their story isn't adding up for investigators. The 16-year-old boy was shot three times in the leg and once in the arm while his 20-year-old female cousin had been shot once in the back. They were found on the 100 block of Glenwood Ave. around 1 a.m. They told police that an unknown male with a grey hooded sweatshirt approached them near Park Avenue and Somerset Street, a few blocks away, and opened fire for no reason. The pair then ran to this location. Police wonder how they could make it this far injured and why they didn't just go home which is near the shooting. Police also couldn't find evidence of the shooting where the victims stated it happened. They were taken to Temple University Hospital in stable condition. The investigation continues. ACME Markets has announced that its pharmacies will now carry the opiate overdose reversal drug Narcan over the counter. Narcan is a nasal spray of the drug naloxone which is administered to stop a drug overdose due to opioids like heroin or prescription medications. First responders such as police and medics have been carrying the spray but it is now available to the public due to a standing prescription issued by the Pennsylvania Physician General. Narcan is credited with saving the lives of hundreds of people in the Philadelphia region. Cloudy, temperatures in the upper 50's this evening in Center City.